It's officially hit the UK App Stores - play Pokémon Go wherever you are - right now! UPDATED: Pokemon Go is now available in the UK! Simply head to the Apple App Store or Google Play Store and get downloading. Have fun Poké Trainers. Pokémon Go is already a phenomenon. But if it's still not released in your country - there's always a way! Read on to find out how to download Pokémon Go for both Android and iOS devices if you don't live in one of the areas where it's been released already. First of all, you'll need to make your iPhone belive you're in a region that can download Pokémon Go. Open up Settings on your iPhone, tap on 'Apple ID' and select to sign out. Now go back into Settings and select General > Language & Region. Set your region as US, New Zealand or Australia - all of these regions can download Pokémon Go. Now open up the App Store. Search for Pokémon Go and it should appear. If it doesn't. choose a free app to download and select 'Create new Apple ID'. Now you can download and install Pokémon Go onto your iPhone or iPad. Once Pokémon Go is released in your region you can sign back in with your Apple ID - though you may need to reinstall Pokémon Go. 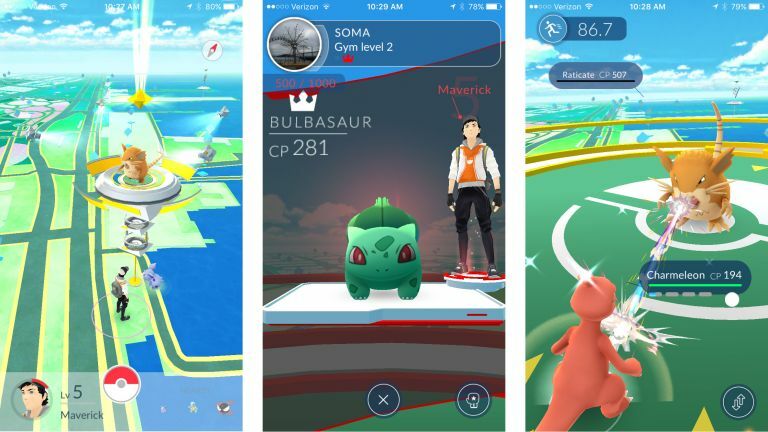 Pokémon Go is now ready to play on your iPhone or iPad! Data is saved to the cloud, so you'll be able to play Pokémon Go where you left off. If you want to play Pokémon Go on Android, and you're not in a country that has made Pokémon Go available through the Google Play store, then the following instructions will show you how to download it from a third-party website. First you need to allow your Android device to install and run apps downloaded from other places. Be cautious when you turn on this setting, as you'll want to make sure you only download apps you know are safe and reliable. Open up Settings and go to Security. Scroll down and next to where it says 'Unknown sources', tap the toggle to turn this setting on. Now you need to download the Pokémon Go APK file. On your Android device go to the Pokémon Go APK webpage and tap on 'Download APK'. Select 'OK' when the warning message appears and Pokémon Go will download. Once it's downloaded, swipe your finger down from the top of your Android device to see the notification area and select the Pokémon Go file, then select 'Install'. Pokémon Go will now install, letting you play right now. Pokémon Go is now ready to play on your Android device.